Meet the “Gibson Girls,” five of the most stunning, outgoing, insanely close sisters you’re ever likely to meet. Like fairytale princesses these beautiful women are gifted with magnetic personalities, charm and show-stopping looks. To say that they are close is an understatement: It’s not uncommon for the five sisters to wear matching outfits, wear each other’s bra’s and underwear, hot-tub and shower together (including mom) and snuggle together in bed. There are zero boundaries when it comes to what they talk about or what they wear-- or not wear. Besides being inseparable Rachel and Natalie are also moms. To add another level of closeness, three of the sisters are secretly plotting to get pregnant at the same time! Mom, Diane, had always wanted to be surrounded by girls, and despite trying for a boy, mom and dad never did get their sweet prince. The girls were all raised to be closer than most. From family photoshoots, to always saying, “I Love You,” after a squabble to watching over-one-another at school, the sisters were taught to be each other’s best friend. No matter what. 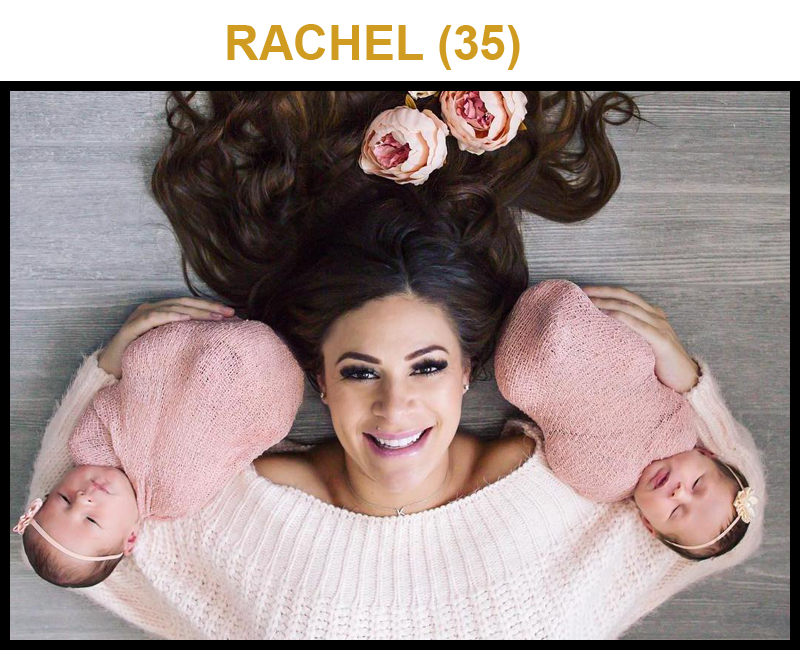 Rachel the eldest lives with her husband Dane and their new twin girls! Also living with them is Meghan and her husband Skyler. Natalie, along with her daughter Bella, and youngest sister Courtney live with mom and dad in Santa Clarita. However, all of the sisters congregate at Rachel’s house on a weekly basis for several days because Rachel has two new babies she wants her sisters and mother around all the time. Plus, Rachel has the best house to host all the girls under one roof! They love nothing more than epic sleepovers complete with pillow fights and bursts of laughter erupting once the lights go out and it is time for bed. They love to dance together at home, practice gymnastics and Zumba and do each other’s hair and makeup. The girls absolutely hate being separated. They have serious anxiety and, “fear of missing out,” if they aren’t together or “in the know” regarding each other’s whereabouts or personal lives. It took some serious girl-squad convincing, but Rachel was finally able to get Dane to put their house on the market in order to buy a new home that’s big enough to accommodate ALL of the sisters and family. Getting all the girls under one roof would bring serotonin and estrogen levels to an all-time high! Rachel and Dane each have a child from previous relationships: his son Carson (12) and her daughter Kailey (9). Rachel absolutely loves children and she wants a big family, like how she was raised. A major contentious issue for Rachel and Dane was the fact that she wanted more children and Dane was done having kids. Dane was so done that he literally had a vasectomy so that he couldn’t have any more kids. However, Rachel and the Gibson girls are extremely persuasive. She put her foot down and gave him an ultimatum for children. Dane reversed his vasectomy and now the couple just welcomed twin baby girls, Kinsley and Kassidy, in January 2019. Dane and Rachel are thrilled about their new additions and building a family together. When Rachel and the Gibson girl’s put their mind to it they can move mountains-or at least buy homes and produce children. They don’t like to say, “manipulate,” but they admit that they wear the pants in each of their relationships and in the family. Once the girls decide on something they usually get their way. Rachel and her younger sister Natalie are the moms of the Gibson sisters. Natalie’s daughter is Bella and is the same age as Rachel’s twin girls. The two love being mom’s together—they secretly plotted to get pregnant at the same time! It worked so well that they even had the same due date! Rachel’s twins arrived early, so her twins and Natalie’s daughter, Bella, are only 3 weeks apart! Natalie and Rachel loved being pregnant together so much. It helped to have a sister in arms to share the incredible experience. However, Meghan felt terribly left out. Meghan and her husband Skyler are absolutely in love and want a family of their own, and not being pregnant with her sister’s was tough for her. They tried to conceive but it wasn’t in the cards at that time. Natalie and her longtime boyfriend, DJ, have had an up and down, on-again off-again relationship for the past four years. 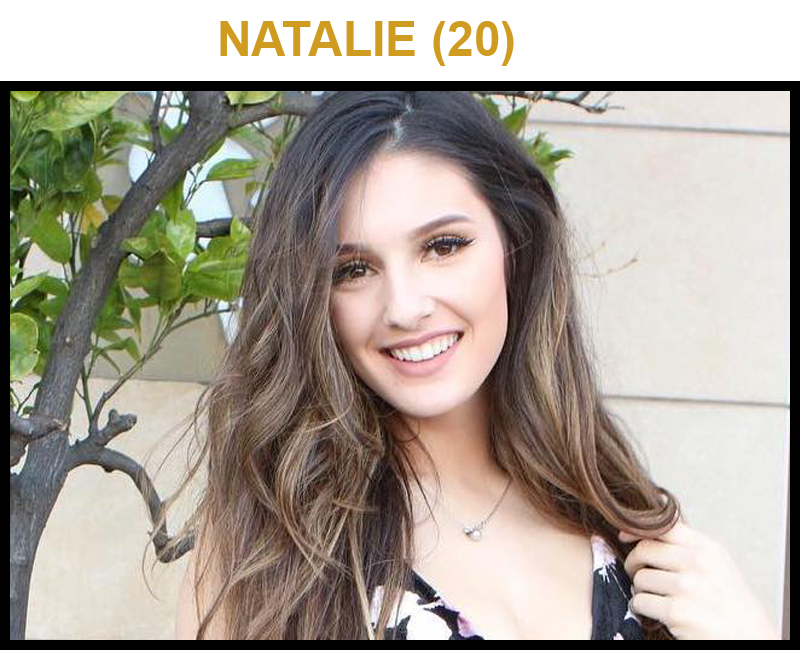 Natalie has a larger than life personality and laissez faire attitude. She’s flirtatious and is known to flaunt her body in immodest outfits. This has caused rifts in their relationship over time. The Gibson girls and especially Dane aren’t entirely on board with DJ, citing him as immature, too much of a partier and a bad influence on Natalie. However, the two have a child together so they need to be compassionate and careful with him and their relationship because there is a baby in the equation. Natalie and DJ did not plan to start a family so young. Having a new baby has changed their relationship and how they think of the future. Since the baby arrived, DJ has become more serious about their future and would like for Natalie to “tone it down” so they can start to settle down together. Although he’s still young and immature he’s making what strides he can to grow-up and be the man that she deserves. What Natalie doesn’t know is that DJ has secretly purchased an engagement ring and is planning on proposing. The other sisters all have an opinion about the proposal and whether it should happen or not and if DJ needs to ask their father for permission. DJ is feeling micromanaged about what he thinks should be a romantic and spontaneous event. DJ has always known that the sisters have influence in each-other’s lives, but he is getting a glimpse of life after “I Do” and realizing that marrying Natalie means marrying her sisters. Meghan and her husband, Skylar, are at a crossroads in their lives. Skylar is a collegiate-level football player who has dreams of being drafted into the NFL. Skylar and Meghan moved in with Rachel and her family so Meghan could help out with the Rachel’s twins and so Skylar could focus on training for the grueling NFL football tryouts. If professional football isn’t in the cards for Skylar, he wants to apply for medical school. If Skyler gets drafted, he and Meghan will have to move. If Skyler applies and gets into medical school, Meghan will also have to move. Either way, it looks like she will be separated from her sisters within the year. However, if Meghan gets pregnant she can’t imagine leaving her sisters which may throw a wrench in her and Skyler’s future plans. Lauren is a junior in college at Boise State University. She made the move to Idaho when Lauren and Skylar were still in school at Boise State, so moving away from her family didn’t feel as dramatic because she had her sister with her. Since Meghan and Skylar have left Idaho and returned to California, Lauren has been “too lonely to function”. She loved Idaho when she had her sister there, but the reality of being away from all of her family has proven to be too hard for this sister. Lauren is moving back to Orange County to be near her sisters and the next chapter of her life is uncertain. She’s currently single and would love to have a boyfriend, so dating is certainly on the table. She’s considering going to school or perhaps getting a job. Courtney, the youngest sister, is at her own crossroads. She has been a competitive gymnast since she was six years old. However, the high level at which she has performed has caused significant wear and tear on her young body. She has recently suffered a major shoulder injury. Courtney is impatient with the recovery process and the countless physical therapy sessions. The question remains if this setback will be a bump in the road or a career-ending injury. The uncertainty of the future has Courtney looking to her sisters more than ever to help her during the most difficult stretch in her young life. Courtney lives at home with mom and Natalie and does most of her schooling online. She has few friends outside her sisters, so the Gibson girls really do make up her social network. She is single and currently looking forward to prom and a summer of fun in the sun! The Gibson girls are sisters by birth but best friends by choice. As Rachel’s “baby” sisters are growing up and becoming adults, life is ever-changing and ever-evolving for the sisters. Despite the changes and new roles, they need to take on one thing is for sure: It’s going to be a wild entertaining and must-see journey with the fabulous Gibson sisters.